You finally found your dream shoe that will get you through mile after mile of your runs without any injury. But a couple miles in, you realize you hate the shoelaces. No problem -- you can still love the shoes. 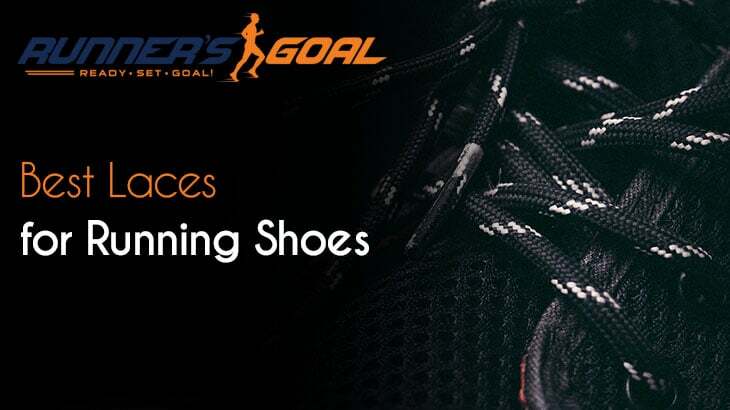 You just need to find the best laces for running shoes. Do Running Shoelaces Really Matter? We all know the importance of finding great running shoes. Without the proper support, you’ll be limping instead of running before long. But runners are sometimes less sold on the value of finding great shoelaces, preferring to just go with whatever came with their running shoes. That’s not always the best bet though. Shoelaces are the unsung hero of your running shoe and they can make a big difference in the comfort or performance you get from your running shoe. Most runners have had shoelaces on at least one pair of shoes that didn’t feel quite right. Sometimes running shoelaces are way too long, even if you’ve triple tied them to get rid of some of the length, and you hate feeling them flop around when you run. Other times, they are a tad too short so you can’t even double knot them during a race. Sometimes the length is perfect, but the material is hard to untie. No one wants to try to get a stubborn double knot out of a sweaty running shoe by using their teeth. You need your shoelaces to be tough and durable too. Many of us employ the old trick of tying our car keys onto our shoelaces during important races so we don’t have to carry anything that isn’t absolutely essential. We don’t need our shoelaces to break and make us lose our key during our runs. Some laces offer more stretch than others, which some runners like, while others prefer a more rigid shoelace. It all depends on what each runner feels comfortable with. Shoelaces also have to be long enough to use the different lacing techniques that can help you feel much more comfortable during your runs. What Are the Different Lacing Methods Runners Use? The type and length of shoelaces you choose might depend upon which particular method of shoe tying works best for you. What Style of Shoelaces Are There? You can get two main types of shoelaces that will serve you well for running. 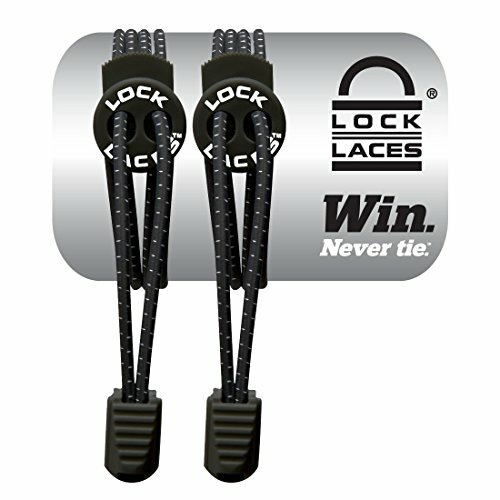 There’s the traditional lacing kind that everyone is familiar with, then there are also the no-tie laces that don’t require any tying. Both styles of shoelaces have their pros and cons. Let’s look at the advantages to the no-tie kind of shoelaces. They are easier to adjust than traditional shoelaces are. They are stretchier, which can give you a greater range of motion. They’ll typically last the whole life of your shoe. It’s quicker to put your shoes on with this type of shoelace. If your feet tend to swell when you’re running, you’ll have more give with elastic style no-tie laces. That will make you more comfortable on your run and you won’t have to stop and fiddle with your laces. But no-tie laces aren’t the answer to everyone’s prayers. What are some of the disadvantages to no-tie laces? Some of the locks aren’t as sturdy as they should be. In the beginning, they can be a little confusing to put on your shoes. The laces can fray after a while on some brands. Some runners may not like the extra give these types of shoelaces sometimes have. That extra wiggle room may cause blisters that you wouldn’t get with traditional, non-stretchy shoelaces. Runners who need stable shoes may find there’s too much forward and back movement in the shoe or side to side movement that can cause injuries over time. Before swapping out the laces on your running shoes for the first ones you find in the nearest store, you should take your shoelaces out of your shoes and look them over. Figure out what it is you don’t like about them so you can find a pair that better suits your needs. Here is what you should consider before buying new ones. Length: If you like the length of your existing shoelaces, measure them so you can find that same length in your next pair. If they are too short or too long, figure out how much extra length or less length would make them workable for you. That way you’ll know exactly what you want. Color: You’ll want to find a pair of shoelaces that doesn’t clash with your running shoes. The good news is that should be an easy task -- shoelaces come in every color imaginable. The end clips flop around a bit when you run, which might be distracting to some runners. If you’re the type of runner who loves to accessorize and match everything about your outfit, you’re going to be thrilled with how many color choices you’ll have with these shoelaces. There are more than 40 colors to choose from. Some of the colors include reflective shoelaces, which is nice for runners who are concerned about visibility while they’re running on the road. Unlike some other elastic laces, these don’t have annoying closures that bob around on your shoes -- the closures are discreet if you want them to be, or visible if you prefer that. While most other no-tie shoelaces are round, these are flat, which may appeal to some runners, because they seem to stay in place better. The anchors for the shoelaces shouldn’t break or warp. It’s a bit expensive for one pair of shoelaces. The anchors do sometimes fall off and get lost. The installation process will take you a few minutes. 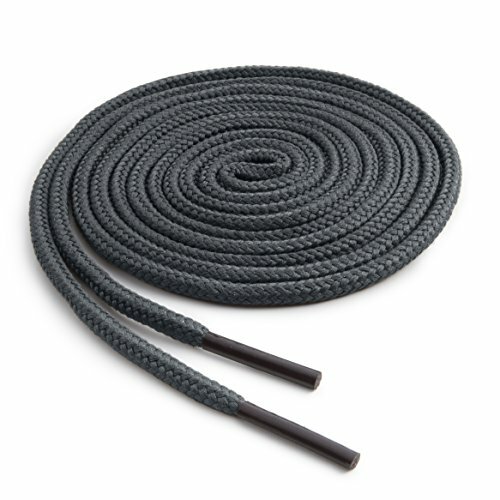 These one-eighth-inch wide shoelaces come in a two-pack, so you’ll always have a spare ready when you need it. They come in any size you’ll need them in. If buying American is important to you, you’ll be pleased to know these are made in the U.S.
You’ll have your choice of 14 different colors, so you’ll be sure to find something that will go well with your shoes. 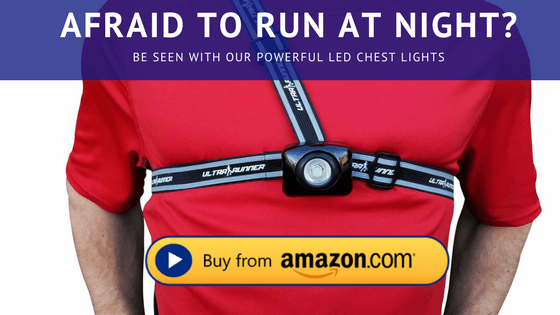 They are affordable, which is nice for runners who are sick of blowing their budget on running gear. These shoelaces are durable and they’ll stay tied when you tie them without constantly coming loose. Since they come in a two set, you’ll have to pay for two pairs, even if you only need one. You’ll get two pairs of shoelaces with this brand. They are locked by a button at the top of the shoe so you won’t get closures flopping around like you will with some other brands. You’ll get eight colors to choose from. All the color choices include some reflective material, so you’ll have more visibility when running in low light. 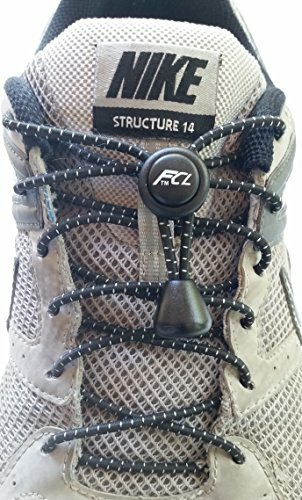 The button that holds the laces in place seems to be a secure option for this type of shoes, which is nice for runners who have had the closures from no-tie laces break on them before. If you only want one pair, you’ll still have to buy two. The laces may be a little confusing when it comes to how to install them, which could be a hardship for runners who have never used no-tie laces before. 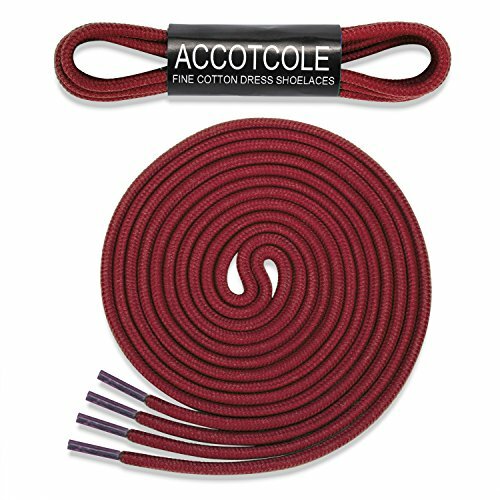 If you’re a bargain shopper who doesn’t mind going old-school when it comes to tightening your shoes if it saves you some money, you’ll like these Accotcole round shoelaces. You’ll get three pairs of shoelaces for an affordable price. You’ll get 20 colors to choose from. Since these are traditional shoelaces, you won’t have to try to figure out any complicated installations like you would with no-tie shoes. They are durable so one pair will last for quite a while. They are true to size, so as long as your measurements are accurate, they will be long enough for you. These shoelaces will stay tied when you’re running. You can’t order color combinations of the shoelaces -- they all have to be the same color, which can be a downer if you want to order a fun, bright color because it will have to match your future shoes too. Since these shoelaces aren’t one-size-fits-all, you’ll have to do some measuring to figure out which size to order. 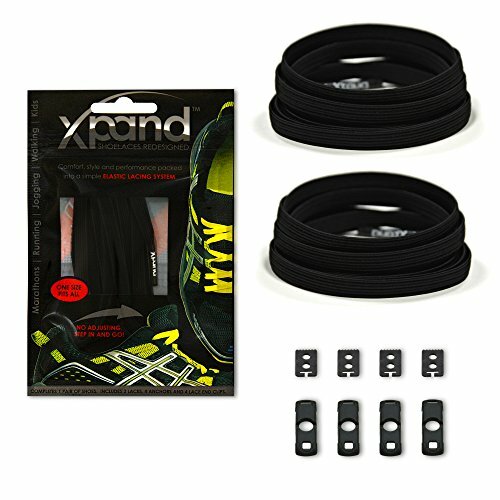 Xpand no tie shoelaces come out on top as the best laces for running shoes. They have more color selections than any other brand on this list and I like that some of them are reflective -- every bit of reflectivity you can wear while running is a good thing. Any runner who has had a close encounter with a distracted motorist would agree with that. As far as no-tie shoes go, I love that these don’t have that annoying closure hanging down on the shoe -- it’s not fun being distracted by your shoelaces when you’re running a hard race.